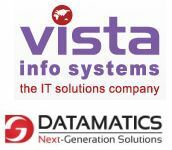 Datamatics Software Services Ltd, a subsidiary of Datamatics Global Services Ltd (a global IT & KPO firm), has entered into a definitive agreement to acquire a controlling stake in Bangalore-based Vista Info Systems Pvt Ltd for an undisclosed amount. Datamatics Global (formerly Datamatics Technologies Ltd.) provides a wide range of support services such as document processing, research & analytics, information management, finance and accounting services. The company posted consolidated revenue of Rs 275 crore and a net profit of Rs 20.8 crore for FY11. Its scrip closed at Rs 28.55, up by 1.96 per cent at BSE on Thursday. Established in 1996, Vista Info Systems provides IT solutions and services including testing, IT infrastructure management, business process outsourcing and enterprise resource planning. The company caters to clients like Honeywell, Samsung, Philips and Visteon. "The acquisition supports Datamatics' current strategy to enter the captive space and increase its operations across the country. This acquisition is in line with our growth plans for the Indian market," said Rahul Kanodia, vice-chairman and CEO of Datamatics Global. "Apart from strengthening our presence in Bangalore, this partnership reinforces the company's focus on engineering and embedded services, which is a rapidly growing market. With these service offerings, Datamatics will be well-placed to tap the opportunities in newer market segments with elevated customer value," added Kanodia.